Tonight I will be listing my first Santa figures for the 2017 Christmas holiday. You can click on the link under each picture to purchase the item for sale on ebay. Please check back often! 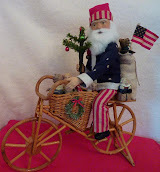 I will be listing new Santa figures each week until Christmas! Click here to purchase "Santa On His Horse" for sale on ebay. 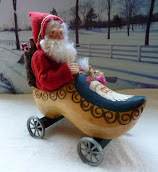 Click here to purchase "Santa In His Car" for sale on ebay. Click here to purchase "Santa And His Christmas Garland" for sale on ebay. Click here to purchase "Santa Tree Topper" for sale on ebay. Thanks for stopping by and please check back often to see my latest Christmas items for sale!